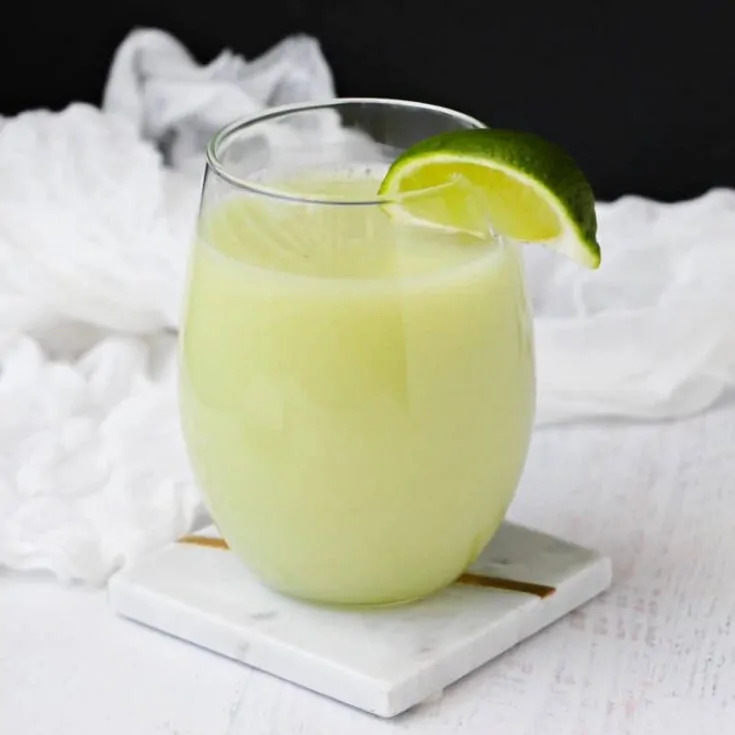 This refreshing cucumber lime smoothie recipe combines cucumber and lime juice with honey and ice to create a flavor combination that will refresh you even on the hottest summer days. It is great for hydration, detox, digestion, and weight loss. 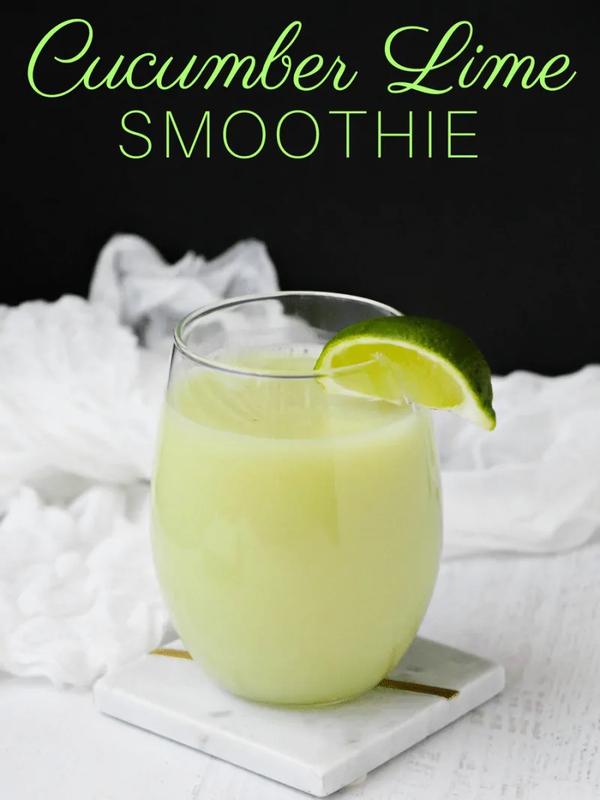 Best of all, this cucumber smoothie is super easy to make. Are you looking for something refreshing and different to enjoy this summer? We all know that cucumber water can be delicious and thirst-quenching on a hot summer’s day. That is because cucumbers are loaded with water, making them great for hydration. 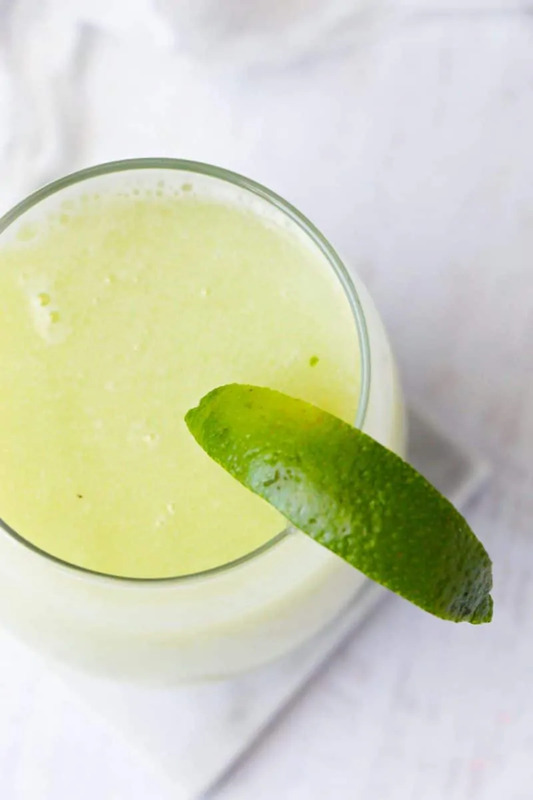 Why not take things to the next level and enjoy a cucumber lime smoothie? Not a fan of cucumbers? Why not try this pineapple cherry smoothie recipe instead? In addition to water, cucumbers have a lot of fiber, which helps to promote healthy digestion and regularity. Being low in calories and high fiber allows cucumbers to help keep you feeling full, without costing you a lot of calories. 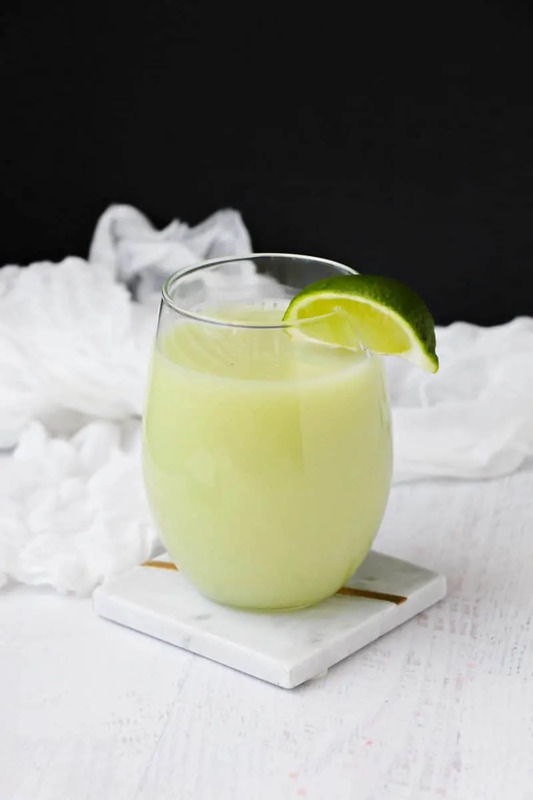 If you are making this cucumber lime smoothie as part of your weight loss diet, you can swap out the honey or sugar with stevia to make the recipe even more diet-friendly. Cucumbers are with high in antioxidants as well as other vitamins and minerals. Basically, you can't go wrong with cucumbers! 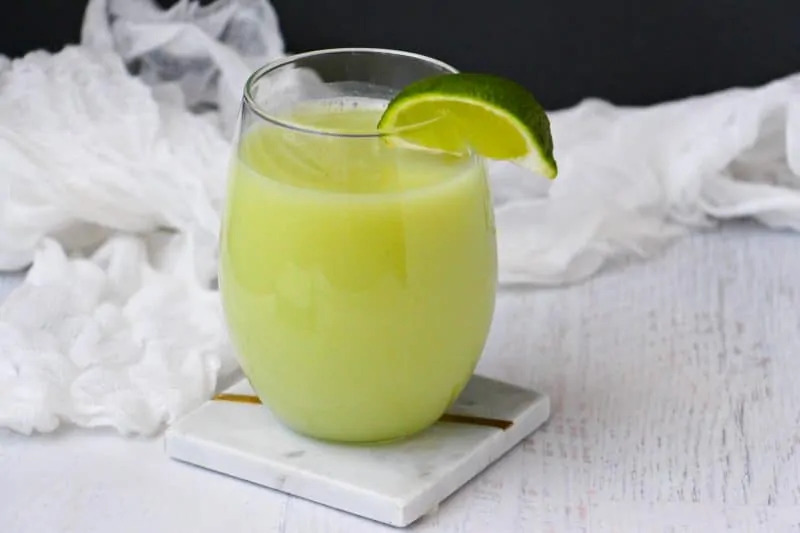 I could go on and on about the benefits of eating cucumbers, but you came here for the cucumber smoothie recipe, not a lesson on the health benefits of cucumbers so let's get down to the recipe. 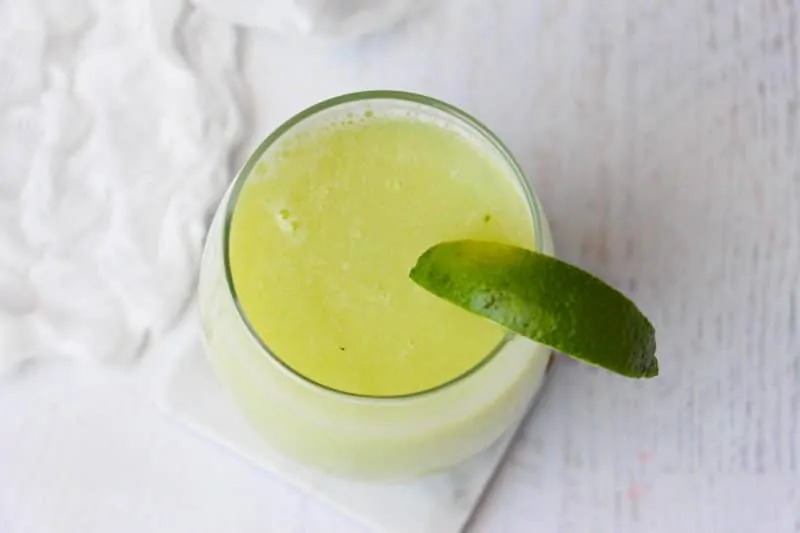 This refreshing cucumber lime smoothie recipe combines cucumber and lime juice with honey and ice to create a flavor combination that will refresh you even on the hottest summer days. It is great for hydration, detox, digestion, and weight loss. Garnish with a wedge of lime or sprig of mint (optional) and enjoy cold. To cut down on calories you can skip the sugar or honey and and use stevia instead. This looks so good. I love all the ingredients. Thanks for the tip on stevia – diabetic! This smoothie is perfect for summer. The lime and cucumber would make it super refreshing.